Ferry operator Hellenic Seaways will apparently stop operating the ferry route between Thessaloniki and the Sporades islands this season. 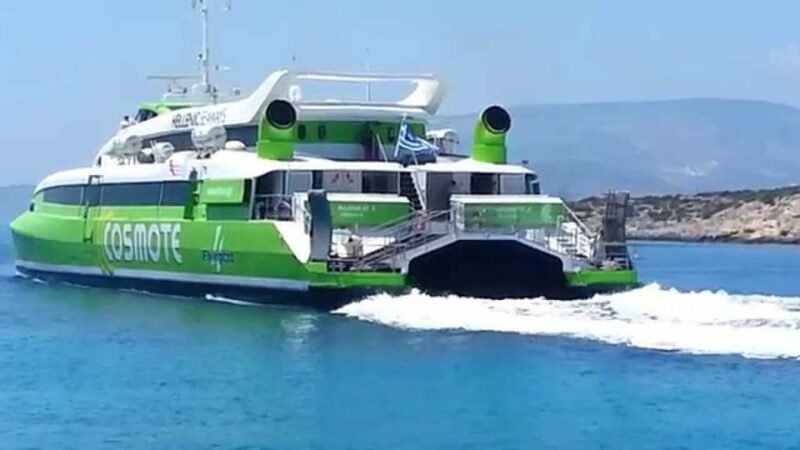 For the last two years this route connecting the second largest Greek city of Thessaloniki to the islands of Skiathos, Skopelos and Alonissos was operated by Hellenic Seaways and its vessel Flying Cat 4. The suspension of these schedules has raised serious concerns among local tourism officials and professionals. Local authorities and tourism officials said the route has served more than 120,000 passengers in the last two years. This ferry route was very convenient for travelers from northern Greece and the Balkan countries, who did not want to travel by car or bus to Volos and Agios Konstantinos to catch a ferry to the Sporades. The Flying Cat 4 has been moved to the port of Rafina and will connect Athens to Mykonos, Naxos, Ios and Santorini.